FORGET DIVERGENT, FORGET THE MAZE RUNNER. those are trash, anyway. UNWIND IS MUCH BETTER THAN THAT. Unwind has a weird concept that the morality bothers me because it's insane. 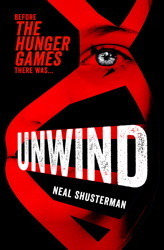 This is a book where unwanted kids below the age 18 are being unwound, hence the term Unwind. Being unwound means that these kids are being eliminated from this world, but having them killed is such a waste on their good and useful body parts. So an idea was formed; why not take these good eyes, ears, arms, kidneys, lungs, teeth-- anything possible, and donate them off to those who need these parts? DOESNT IT SOUND INTERESTING? Let me answer that for you: IT IS INTERESTING!! AND MORE!!! 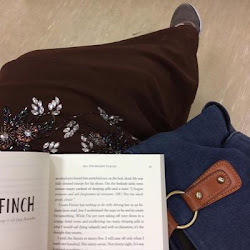 I was terrified, bothered, mad, scared throughout this journey, imagining what if that was my fate? What if all these happened to me? This dystopian world created by Shusterman is so close to the world we live in, where Shusterman brought forth the heavy issues (eg: abortion) in his own way. Unwind is the first book of the Unwind series but it can be read as a standalone, as the ending ends perfectly. I wonder how the next books are gonna be plotted because there isnt any cliffhanger. This is different from any other dystopian books out there and you. need. to. read. this.